You cannot accuse the Colnago AC-R of being an introvert. It’s a vision in white: frame, saddle, bar tape, lever hoods, cables, the list goes on… you’ll also not be in any doubt as to who makes this bike, with Colnago branding on every surface. It’s a bit of a show-off then, but quite rightly so: Colnago has the reputation of not just being one of Italy’s top brands, but one of the top marques in the world. The AC-R is Colnago’s entry-level carbon-fibre frameset, though the company’s definition of ‘entry level’ may be of a somewhat higher calibre than others. The AC-R draws on Colnago’s race pedigree. From the outset, the frame was designed to offer strength, rigidity, a direct feel and great looks. The company has succeeded on all fronts. The sculpted head tube flows into the top and down tubes, with cables neatly disappearing into the frame to keep the lines clean. Out on the road, the bike offers fast acceleration through its taut rear triangle, and was pretty handy when climbing too, for the same reasons — but more of that later. The trade-off with all that stiffness is that you can feel every ripple and bump in the road. On longer stretches of poorly-maintained roads we found that this became quite fatiguing. Hit smooth tarmac, though, and the bike is a monster. One thing that was really apparent about the AC-R was how quiet it was. Internal cable routing can sometimes be rattly, but there was no such noise here. Some of the bike’s peacefulness can also be attributed to the Shimano 105 drivetrain. The latest 105 group moves up to 11-speed and is one of the smoothest-running and shifting groupsets — and that’s even with a non-series Shimano chainset fitted to the AC-R. Given this bike’s price we would expect to see a 105 chainset to match the other components, but we got the not-very-sexily-named FC-RS500 instead. 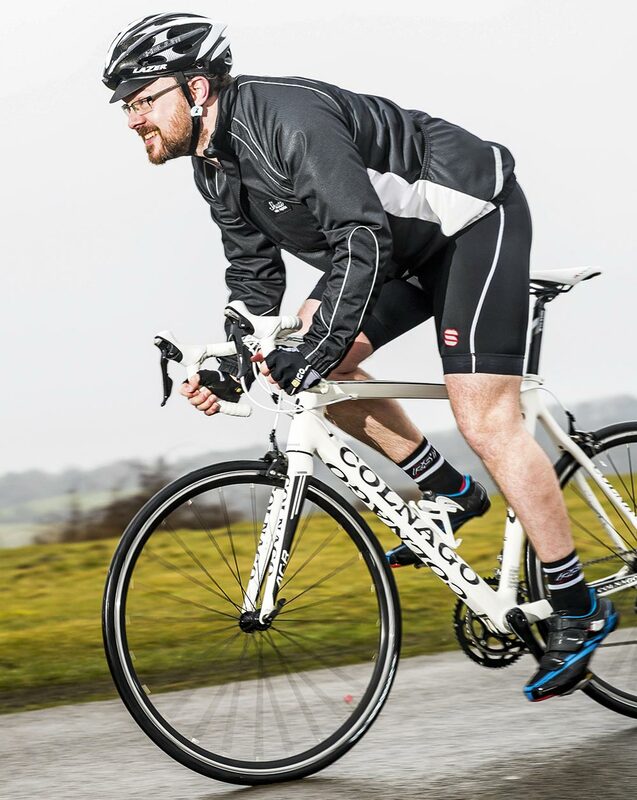 Shifting-wise, it gave no trouble but its looks and finesse simply do not match the rest of the bike. 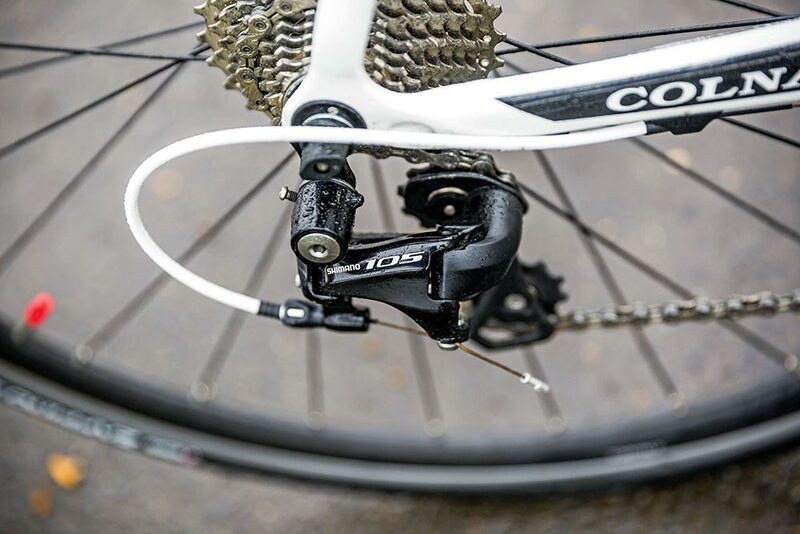 Colnago AC-R 105: Shimano rather than Campagnolo on an Italian bike? Whatever next? 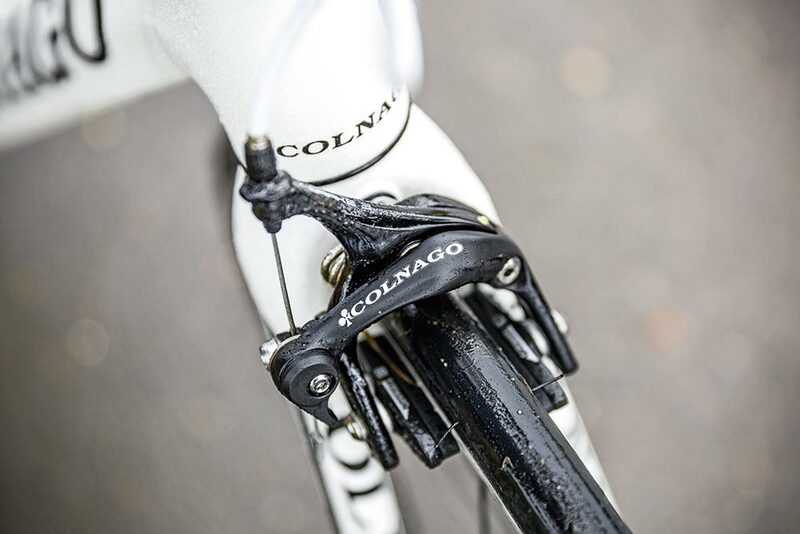 Colnago has also forgone the inclusion of 105 brakes, opting to spec its own-branded units. These offered decent enough stopping power, but were short of the performance offered by the latest 105 brakes. The own-brand wheels gave us no trouble and were shod with decent Vittoria Zaffiro tyres. There’s a thumbs-up from us for the speccing of Deda stem and bars and Selle Italia X1 saddle, too. We mentioned earlier that the bike reacts to acceleration on climbs well, but there’s a caveat: the bike’s weight. The AC-R looks every bit the top-level racing machine, but is let down by its weight, which you do feel on steeper ascents. At 8.83kg this is above average, and a kilogram heavier than many rivals. The wheels are the main source of the extra bulk, but the seatpost, chainset and brakes all contribute too. Colnago’s legendary expertise shows through on a truly great frame and fork, but we can’t help feeling the bike is hampered slightly by its overall weight and relatively low spec. It certainly looks the part, but when you’re in the saddle it feels just a little underwhelming.